How Much Should I Pay for a Termite Inspection? You’re on your way to buying a house, you’ve run a check of your FICO score, got pre-approved for a mortgage, and also deposited some earnest money (usually held in escrow, typically by the company that will conduct the closing). 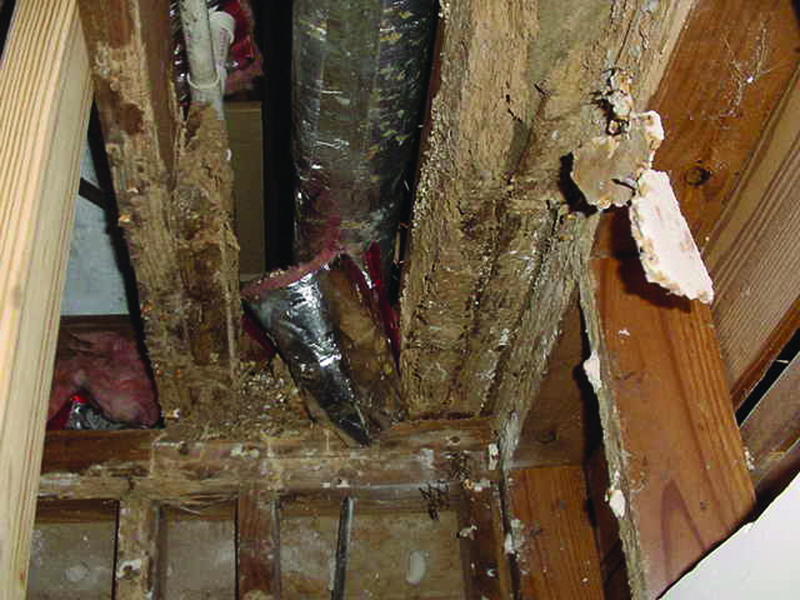 Now is the time for a general inspection of the home, but also for a termite inspection. On average, you can expect the termite inspection cost to be around $75. However, as is the case with many other home purchase-related expenses, no one can offer an upfront answer to the question “how much does a termite inspection cost?” That’s because this will vary based on where you live, the age of the home, and its square footage. Why do termite inspections matter? Sometimes, the company you hire for the general inspection is also licensed to run a pest and termite inspection, too. If they don’t, there are plenty of certified, trustworthy termite control companies out there, which you can find by applying many of the same principles you used to find a general home inspector. Choose a well-reviewed company on like Yelp, Glassdoor, or Google or ask your friends for a recommendation. A termite inspection is a good idea, and not only because it’s required by the lender. Yes, it does make sense that a bank wouldn’t want to spend mortgage money on a derelict old home—but the more important point is that you shouldn’t, either. It has been estimated that termites cause $50 billion in property damage every year. They are also present in 49 of the 50 U.S. states (save for Alaska, where it’s literally too cold for them to survive). Getting inspected for termites is actually useful in this sense, since inspectors are trained to discern between the signs of a former, currently inactive infestation, and the signs of a real, current problem. Also, the current owner of the home should provide you with all the available documentation they retained from previous infestations and termite treatment measures. After the inspection is completed, you’ll receive a letter, which is the standard report form for the customary Wood Destroying Insect Inspection. All the requirements and limitations of said inspection are included in this letter, including the action you need to take, if an infestation has been identified. This is also subject to where you live, since, in some parts of the country termites are so widespread that having a minor infestation on your hands is not at all uncommon. You will need to find a good pest control company in the area and you’ll need to pay particular attention to the types of products they use. Before you sign any contracts with the termite control company, though, decide if this is a cost that will be covered by you, the buyer, or by the seller. Termite treatment will usually cost around $700 and, in some cases, if the infestation is particularly serious, it’s quite possible that it would be a deal breaker for the buyer. Consult with your lawyer before taking any particular course of action. After you’ve narrowed your search to some companies with positive feedback, look into the types of products they use. This is important, because many of the chemicals used in testing for termites are unsafe for the environment and could even pose a potential threat to your family or pets. A bit of online research will go a long way at this point. Simply look up ‘how to get rid of termites’ and then investigate the ingredients each product uses. Many experts recommend a brand like Altriset, which is safe enough to use without gloves and masks by the technicians who will be performing pest control duties in your future home. Unlike most of the other commercial brands available on the market right now, Altriset doesn’t even require any of the EPA markings (Danger, Warning, or Caution). Before Altriset came out on the market, in 2010, the number one environmentally safe brand was Termidor. It’s not as safe as Altriset, since it’s not entirely non-toxic, but it is a good second choice.